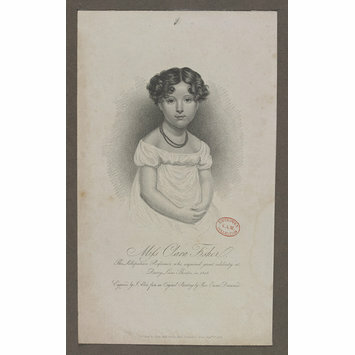 Print of Clara Fisher, engraved by J. Alais from a painting by Rose Emma Drummond, published by John Bell, Great Britain, 1 August 1818. 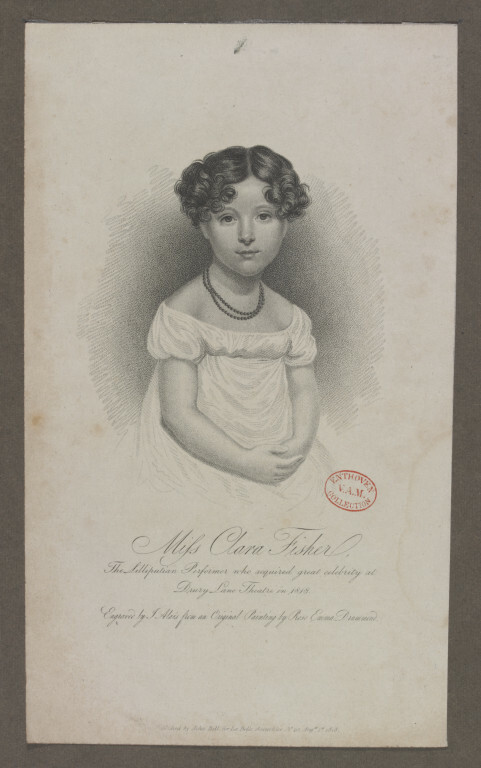 Print of Clara Fisher, engraved by J. Alais from a painting by Rose Emma Drummond, published by John Bell, Great Britain, 1 August 1818. The print features Fisher wearing a beaded necklace and an empire-line white dress.